It’s a new season on Bravo. Today, the network announced six new series and 14 returning shows for the upcoming season. Returning shows include The Real Housewives of Orange County, Vanderpump Rules, Flipping Out, and Ladies of London. 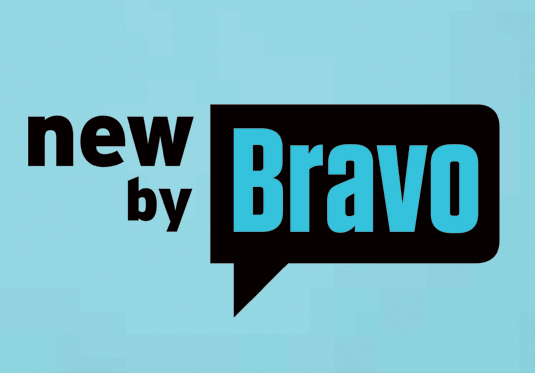 Bravo’s new slate of unscripted programming includes a new series from Shear Genius star Tabatha Coffey titled Relative Success. The show will feature Coffey helping out family businesses across the country. Other new series include Then & Now with Andy Cohen, Your, Mine or Ours featuring Shahs of Sunset‘s Reza Farahan, Summer House, and ski lodge docu-series The Lodge. NEW YORK – April 27, 2016 – Continuing its commitment to high-quality programming, Bravo Media unveils a diversified slate of six new and 14 returning unscripted series, it was announced today by Jerry Leo, Executive Vice President, Program Strategy, Lifestyle Networks and Production Bravo. Bucking industry trends, the network is the leader among all ad-supported cable with 10 returning unscripted series with year-over-year ratings growth in P25-54, and ranks second in P18-49 with nine series. Bravo remains a Top 10 ad-supported cable entertainment network among P18-49 and P25-54 and maintains the #1 ranking for the most engaged, educated and affluent viewers for P18-49 in prime. The network also ranks among the top five most social cable reality networks, according to Listenfirst. Produced by Lime Pictures and All3America with Greg Lipstone, Kate Little, Derek McLean, Phil Harris and Paul Osborne serving as Executive Producers. There are nearly 6 million family businesses in America, and for every one of them all business is personal. No one knows this better than Tabatha Coffey, with her years of experience helping businesses succeed through critical transitions. In each self-contained episode, a family will call upon Tabatha to help them sort out a dramatic, high stakes moment when their fortune and relationships are on the line. Tabatha will use her unique brand of no-nonsense tough love to help these families at a major crossroads and inspire, coax and sometimes shock them with her unapologetic nature into seeing their situation from a completely new perspective. Produced by JV Productions Inc. with Courtney Campbell and Kirk Hipkiss serving as Executive Producers, along with Ryan Seacrest. In this new series, couples looking to make the leap into cohabitation enlist the help of boisterous real estate agent Reza Farahan(“Shahs of Sunset”) and interior designer and decorator Taylor Spellman to figure out which residence they should call home. Taylor will present stunning design renderings showcasing how to transform each of their existing spaces while Reza tempts them with brilliant new properties they can make all their own. The couples will have to weigh their options before making the ultimate decision of yours, mine or ours. Produced by World of Wonder Productions and Most Talkative Inc. with Fenton Bailey, Randy Barbato, Tom Campbell and Andy Cohen serving as Executive Producers. Hosted by Andy Cohen and featuring informed A-list pop culture contributors, the series examines the best of Gen X and Baby Boomer nostalgia and spices it up with a millennial twist. Each episode focuses on a defining year in history and dissects the biggest news stories, pop culture moments, and hottest trends to show how these pivotal events from the past affect how we live today. Produced by Left Hook Media with Matt Odgers and Scott Teti serving as Executive Producers, and True Entertainment with Steven Weinstock, Glenda Hersh, Lauren Eskelin, and Noah Samton serving as Executive Producers. Sean Clifford also serves as Executive Producer. For years this group of friends has spent their weekends from Memorial Day through Labor Day in one of the most exclusive beach areas on the East Coast. These professionals may keep it together during the week, but as soon as they hit the beach on the weekend, they let loose in a big, aspirational way that is exclusive to this high-end lifestyle. Produced by Evolution Media with Douglas Ross and Alex Baskin serving as Executive Producers and Brian McCarthy serving as Co-Executive Producer. Oklahoma City is known for its oil rigs, tornadoes and multitude of churches, but this group of hilarious friends is changing the way the winds come sweeping down the plains. In this new half-hour comedy, these women are proudly challenging the conventions of conservative society and showing an alternative, outrageous side of the never-before-seen tony enclave of Oklahoma City. Produced by Tricon Films & Television with Andrea Gorfolova, Jameel Bharmal, Jeff Hevert and Bruce Toms serving as Executive Producers. What do you think? Do you watch Bravo? Will you watch any of the network’s new series? Why don’t I see anything here about Bravo reality series “Below Deck”? I see no comments posted here. Love that Flipping out and Million Dollar are coming back. What about NY Million?